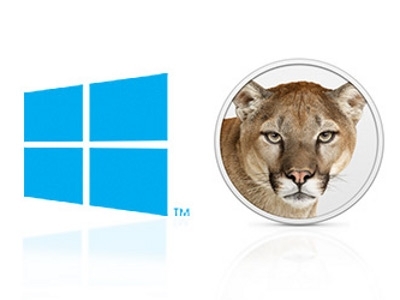 Windows Vs Apple OS X, Which One Is More Secure? An average computer user does not fell into technicalities and deepness of significance of IT security. All he wants is an attractive, user-friendly operating environment filled up with heaps of features. However, it is a harmful perception to Steve Santorelli. Santerolli is a security expert for Team Cymru and former detective inspector at Scotland Yard’s computer crime department. Steve’s viewpoint at this subject may not be the wrong as most big IT vendors are often seen to attract their customers by inducting latest features without having concerned about the security factors. If we have to make contrast between the security strengths of famous Windows and OS X, we must be alert as both the big banners do not prefer security as the major reason to attract their fans. However the Team Cymru praised the way Microsoft is putting efforts to secure its running systems gradually. Talking about Apple’s OS X there were some mixed thoughts for its security measures due to the famous exploitation of Apples products by Charlie Miller, a computer scientist. As far as market share of both the vendors is concerned, Santerolli thinks that Windows has been successful in maintaining its market dominance till date. While Apple’s Macs being a desirable product, still have not shown to be used commonly among masses. This certainly brings up greater no: of threats for Microsoft, hiding some weaknesses of Mac from being revealed to public. Therefore with admirers of both Windows and Mac OS having equal security risk, Santerolli suggests that they must be careful and responsible to fight against cyber threats.